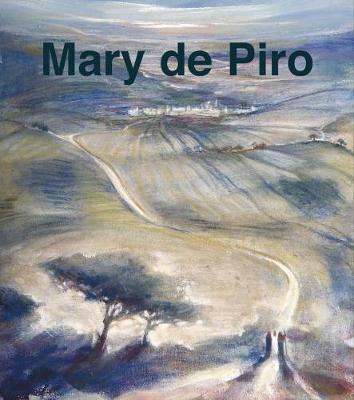 Mary de Piro had her early training in art at the Accademia dei Belle Arti in Florence and at the School of Art in Valletta, her home town. Her first solo exhibition was held in 1967, receiving critical acclaim that was to be reaffirmed in her later exhibitions in 1974 at the National Museum and in 1977 at the National Museum of Fine Arts. Her last major personal exhibition was held in 2014 at Palazzo de Piro in Mdina. De Piro has since become an internationally renowned artist through exhibitions in London, Scotland, Italy and the United States as well as her native Malta. Her work can be found in private collections around the world, as well as in public institutions and corporate collections, including the Central Bank of Malta, Bank of Valletta, HSBC plc, and the National Museum of Fine Arts in Valletta.